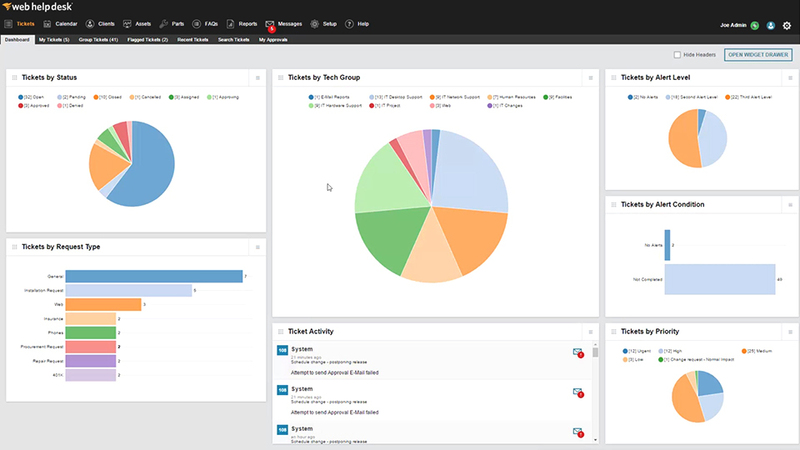 Simplify service management with unified ticketing, asset, knowledge, and change management. Features Overview Simplify service management with unified ticketing, asset, knowledge, and change management. "Web Help Desk’s abilities surrounding ticket automation and routing, the approval process, internal tickets, and parent/child ticketing, have all contributed to greater efficiencies." "Our previous system was very limited...it didn’t always work. 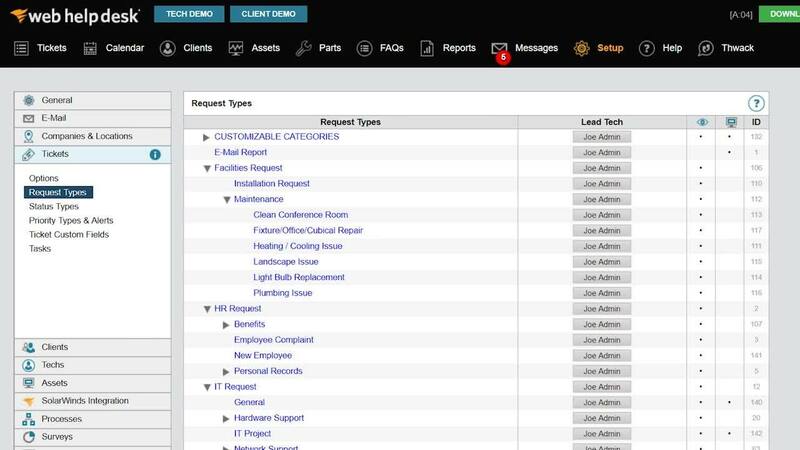 Web Help Desk is an improvement in every feature when compared to our previous system, including alerts/notifications, enforcement of SLAs, detailed emails to techs, and we love the pop-up notifications based on the Report Type selected by clients." "Having the ability to respond to the client by email and with all the contact information and hardware assigned to the user\client in one place makes it so much faster and easier to provide support which means resolving the issue faster." 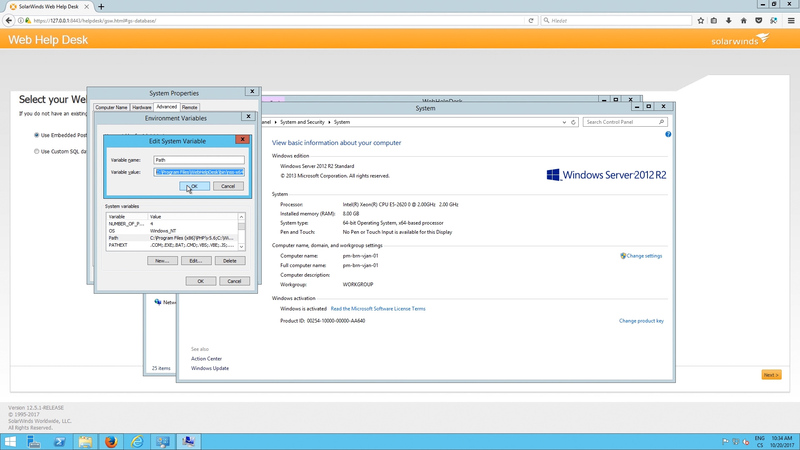 "Prior to using of SolarWinds Web Help Desk, we would only use email to receive support requests. Almost all the time requests would get lost in the clutter. Now, we can see an exact number of open tickets at any given time. It’s so great, our other non-IT support departments have begun using Web Help Desk to keep them on track and on time." 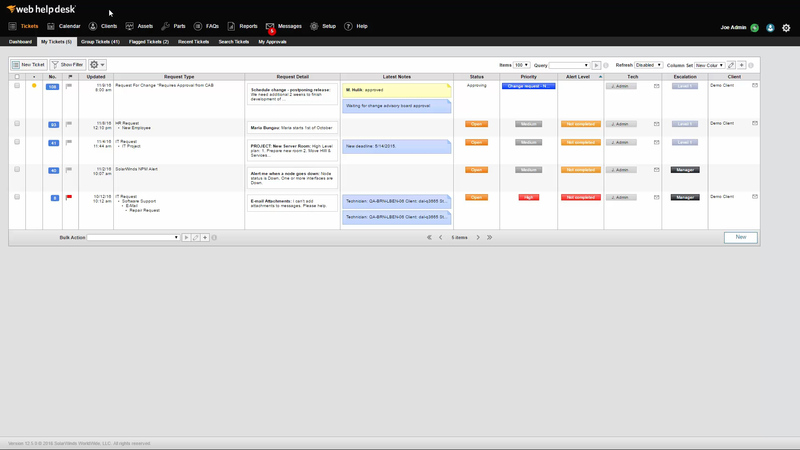 "SolarWinds Web Help Desk makes it easier to keep track of projects and keep everybody up to date. The ability to do that helps me keep my computer organized on a per project basis." Where can I find information on installation and customization for my Web Help Desk product? Does SolarWinds offer training or certification for the Web Help Desk product? Our New to Web Help Desk section was created using customer feedback and contains videos, guides, and articles that will help you be more successful with your installation and customization. Help desk software provides a means of creating support tickets, routing them to support staff, and enabling those individuals to respond to a variety of issues with built-in tools for troubleshooting.